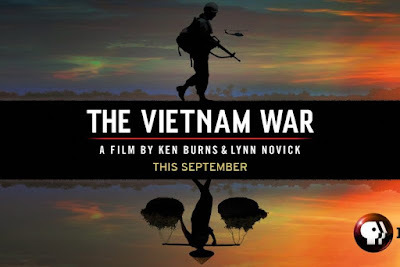 I had wrapped up a couple of other shows that I was going to include in this post for this month, but after some reflection, I decided that Ken Burns' ten part epic documentary The Vietnam War was worthy of standing alone. There was just too much I took away from it to justify throwing in a couple of other shows to make one long super post. It wouldn't have done it the justice it deserves. So, right off the bat. If you're into history, military history or just really good documentaries, you need to start watching this. Burns- being the mind behind Baseball and The Civil War and other epic documentaries is a master of the art and his look at America's most divisive war is a powerful story of the mistakes that were made that got us bogged down in a horrible quagmire, as well as a warning to future generations to avoid those mistakes- but I think it was probably this melancholy truth that stuck with me the most: we think we've changed a lot as a nation in the decades since Vietnam, but in reality, we haven't changed that much at all. The historical irony of it all is obvious from the first episode. A young Vietnamese man approached the American delegation at the Versailles Peace Conference in 1919 with a petition pleading with President Wilson to fight against French colonization of his country. He never got anywhere near Wilson, of course, but at least he tried. Flash forward a few decades later and the OSS (the precursor of the CIA) parachutes in medical aid to an important Viet Minh guerilla leader who is fighting against the Japanese. They patch him up and get him better- turns out that young man and that Viet Minh leader are the same guy: Ho Chi Minh. The documentary moves through the French attempts at recolonization after World War II and the deteriorating situation that slowly but surely saw the French withdraw and the Americans replace them, all in the name of containing communism. As our involvement escalated, variations on the phrase 'The American people were not told' gets heard time and time again- but it was also obvious from the get go that Presidents of both parties had a very bad feeling about this, but kept getting drawn further and further in and found themselves unable to provide clear cut objectives on what the hell the point of it all was. The division of Vietnam was never intended to be permanent- at some point, there were supposed to be elections to reunite the country, but the Cold War policy of containment couldn't risk elections going the wrong way. Burns talks to veterans of both sides of the conflict, which I think is a good move. History being history, it's usually never presented in a very complete way- and, as it turns out, there were horrible military mistakes on the other side as well. Both the Tet and the Easter Offensive bloodied the North Vietnamese horribly and left them with no tangible military results to show for it. On the other side, you hear story after story of American soldiers fighting like hell to kick the Viet Cong or the North Vietnamese off a hill and paying a heavy price for it, only to withdraw and have them reoccupy the same damn hill a week later. As the story marches through the 1960s and toward the 1970s, attention turns back to America, where a rising tide of discontent against the war broke open and sparked some of the most massive public demonstrations of public discontent in American history. Johnson ultimately decided not to run for re-election in 1968 and the subsequent riots at the Democratic convention helped Nixon win the Presidency on a platform of law and order and ending the war. Nixon begins a policy of Vietnamization and troop drawdowns immediately and ordering the bombings of Cambodia and Laos as well as resuming the bombings of North Vietnam when they couldn't get the peace talks going- but it was when he opened China and began exploiting the divisions in the communist bloc (still one of the most brilliant foreign policy moves on the last century) that you saw real progress toward a deal- a separate peace though, that ended America's involvement and more or less abandoned South Vietnam to its fate. 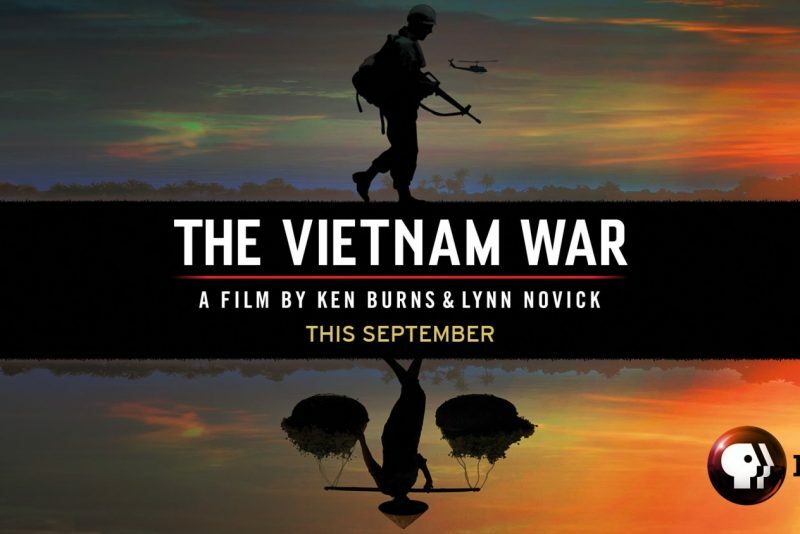 The polarization that you see around the war makes you want to believe that we (as a nation) have put the ghosts of Vietnam to bed, but there's also a lot of footage and commentary from people on the ground that's depressingly familiar given today's climate.